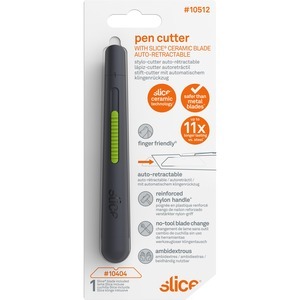 Ceramic Pen Cutter offers an alternative handle profile to Slice's safety box cutter. Its slimmer cylindrical shape is ideal for hard-to-reach areas, and it uses the same box cutter blade, offering the same great features. 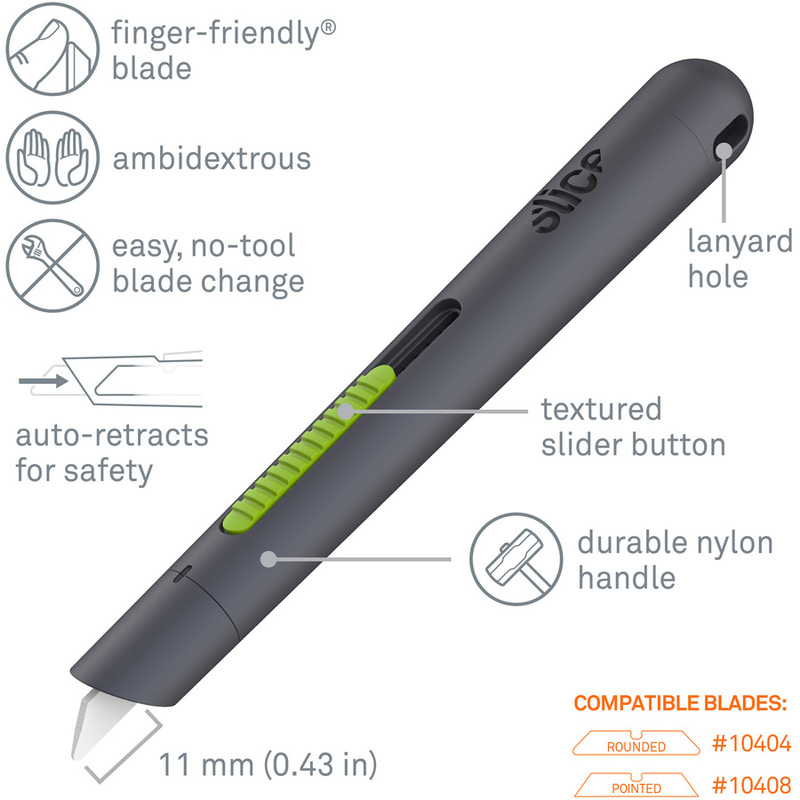 These include Slice's proprietary finger-friendly edge that reduces injuries. Design limits the amount of exposed blade, further preventing accidental cuts. The rust-free 11mm blade retracts into its housing when you release the rubberized slider button.